Mark Allen is an artist, educator and curator based in Los Angeles. He is the founder and executive director of Machine Project, a non-profit performance and installation space investigating art, technology, natural history, science, music, literature, and food in an informal storefront in the Echo Park neighborhood of Los Angeles. Machine Project also operates as an informal team of artists who collaborate to present work at locations ranging from beaches to museums to parking lots. Under his direction, Machine has produced shows with the Los Angeles County Museum of Art, the Hammer Museum at UCLA, the Museum of Contemporary Art in Denver, the Contemporary Art Museum St Louis, and the Walker Museum in Minneapolis. 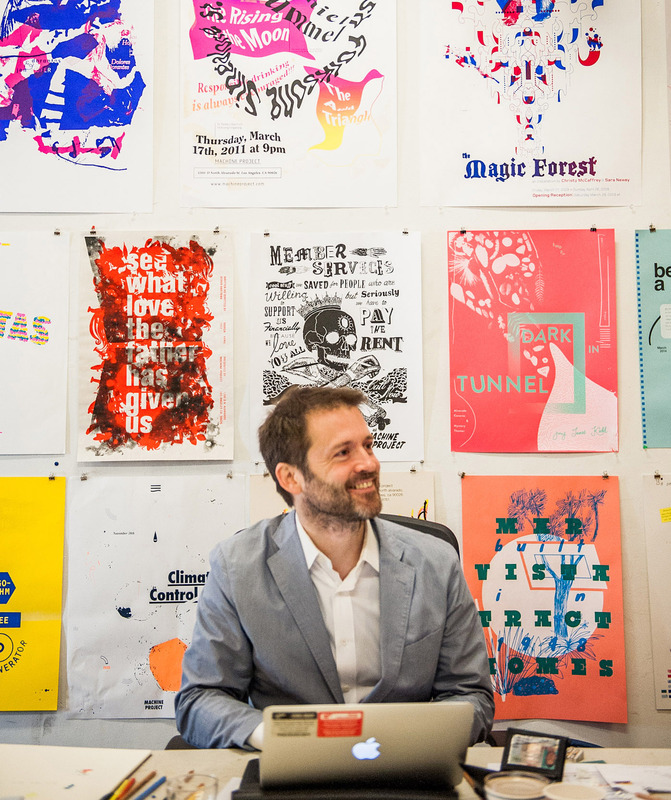 He has produced over 1,000 events in Los Angeles at the Machine Project storefront space. Art is a space in culture for thinking about ideas. Art is not defined by materials or means of production but the context in which it appears, discussed and analyzed. Art is a great excuse to do stuff you want to do. Great ideas show up every day, there's no reason to be stingy with them. Thinking happens with other people. There is nothing wrong with creating beautiful things but there is something depressing about making unique collectables for the wealthy. Interesting human beings can sustain multiple contradictory belief systems without dying from cognitive dissonance. Your friends are your first and best audience. Small, grassroots, and intimate is better than large, corporate, and formal. Successful artists are empathic and can imagine themselves as the audience of their own work. Mark Allen is the founder and director of the Machine Project, a non-profit installation and performance space that provides educational resources to artists working with technology; collaborates with artists to produce site-specific, non-commercial work; and promotes conversations between artists, scientists, poets, technicians, performers and the communities of Los Angeles. Like his previous three galleries, the Machine Project reflects Allen’s interest in looking at different ways to investigate artistic questions in collaborative settings. Allen, Mark. Machine Project: The Platinum Collection. Saratoga Springs, Tang Publications Spring 2016. Monograph. Prior to opening Machine Project, Allen was involved with several alternative arts groups as a curator, board member and director, and co-founded the Los Angeles new media collective c-level. He has taught at the California Institute of the Arts and the University of California San Diego, and is currently an Associate Professor of Art at Pomona College. He serves on the Board of Directors of the Andy Warhol Foundation for the Visual Arts in New York, and served for three years as a member of the Artist Advisory Board of the Hammer Museum in Los Angeles.